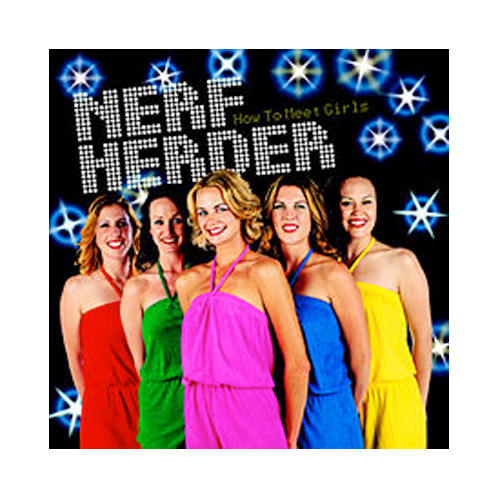 (Honest Don’s Records) “How to Meet Girls” is another great release from Nerf Herder. It has an upbeat post-punk feel that pokes fun of Courtney Love in the song Courtney and begs not to end up like Jonathan Richmond. In For You, a cornucopia of 80’s references are unloaded on the listener including roller blading with Corey Feldman and getting a tattoo of Michael Bolton just to win over a girl’s love. Nerf Herder is like Weezer on amphetamines or like watching PeeWee’s Playhouse while slurping Pepsi ‘s by the dozen and eating handfuls of Smarties. Simply a roller coaster of rock n roll fun.